Honda Cars Philippines, Inc. (HCPI), announces the next batch of limited-edition models all offering sportier and more stylish looks to cater to the dynamic lifestyle of Filipino customers. 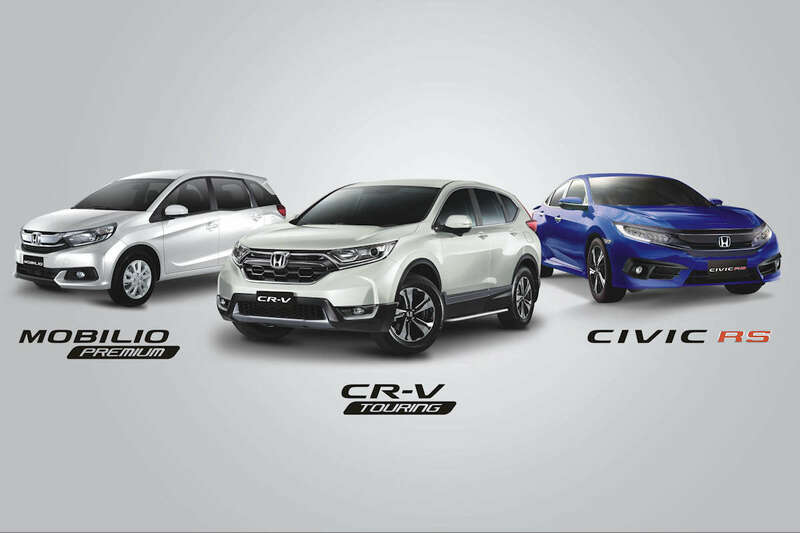 Up for grabs are special edition models of the CR-V, Mobilio, and Civic. As Honda’s first ever diesel available in its local lineup, the new CR-V has been an exceptional model for Honda in the Philippines over the past year having sold 5,651 units as of September 2018. To celebrate this great market acceptance of Honda’s 7-Seater Diesel Turbo, a limited-edition CR-V Touring Diesel 9AT is made available. IT gets a new front grille, running board, rear bumper protector, and exhaust pipe finisher. And in order to differentiate this CR-V model from all other variants, Honda has equipped this limited version with a “Touring Edition” emblem. The New CR-V Touring Diesel 9AT comes at a suggested retail price of P 1,738,000 and is available in 3 colors: White Orchid Pearl, Modern Steel Metallic, and Dark Olive Metallic. It’s going to be available at all authorized Honda Cars dealerships nationwide starting in November. With the strong demand for 7-Seater vehicles here in the Philippines, Honda is launching another variant of the Mobilio: the Mobilio 1.5 Premium CVT. This version of the Mobilio exclusively comes in White Orchid Pearl giving it a touch of elegance. The Mobilio 1.5 Premium CVT is equipped with a sharks-fin antenna, exhaust pipe finisher, and “Premium Edition” emblem making it a more stylish MPV. Only 100 units of the Mobilio 1.5 Premium CVT will be available for a suggested retail price of P 968,000. Reservations are now being accepted for deliveries starting in November. Finally, there’s this special edition Civic. As the epitome of Honda’s sporty performance, the 10th generation Civic is a head-turning because of its sleek and sporty exterior and sophisticated interior. One of Honda’s best-selling sedans gets even better with arrival of the Brilliant Sporty Blue color. Only 30 units will be available, exclusive to the RS Turbo CVT variant. Unlike the Mobilio Premium and CR-V Touring Edition, the Civic RS Turbo Limited Edition is available only at selected Honda Cars dealerships. It comes with a suggested price of P 1,576,000. There’s some more good news too. As a treat to our customers, these new limited-edition models come with a P 30,000 discount for those who reserve starting today.